Several people have told me over the years, "You are a natural born salesman". Psychotherapists, who completed my cognitive training programs said, "You are a gifted listener". As a young pastor my older colleagues told me, "There is something different about you John. God has given you a foreknowing and a wisdom not found in people your age". Harold, who escaped New York City to start a new career as a minister and who commuted to seminary with me said, "You are not from around here are you John". I said, No, I am from a small town in the country.". "No, that's not what I mean John, he said. You are not like everyone else around here. You don't think like everyone else. You belong in California. You should go to California. They think like you there". Often, after delivering a sermon to my congregation, members came to me to shake my hand and to tell me how much my sermon touched their hearts. "God has given you a soft voice that can heal the broken hearted", one lady told me. She continued and said, "I believe words of comfort from your soft voice can mend a broken heart". She made me sound like an angel. But, most of the people reading this would never confuse me for being an angel. 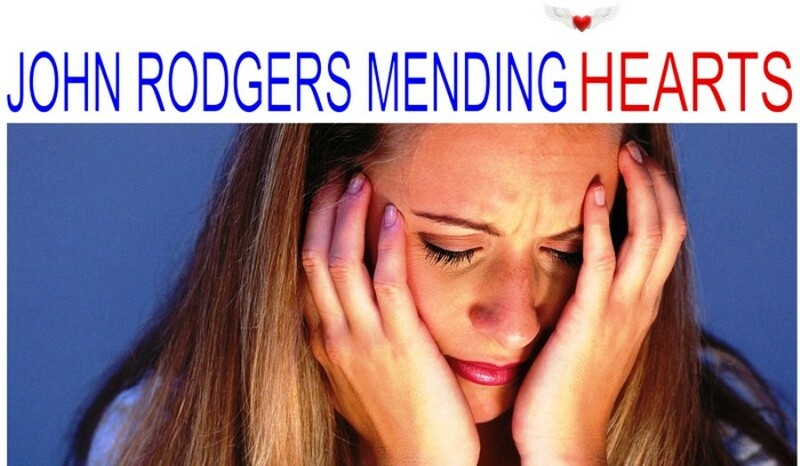 Still, during the summer of 1985 I started the television show John Rodgers Mending Hearts. It was financed from advertising sales to banks and hospitals. It was a weekly talk show where I interviewed different people who shared how their lives were negatively changed by tragedy only to be made whole again through their faith in God. Later I incorporated the Mending Hearts concepts into my problem solving, life changing, cognitive training programs. Thousands of people completed my individual one-on-one training sessions. This is how I perfected my coaching, training and listening skills for 10 years. Now, I use my skills to help business owners build more prosperous businesses. The ability to solve problems is one of the greatest strengths a business owner can possess. I hope my work with business owners across the state is helping them build better businesses and become more successful at solving the day to day problems they face while operating their businesses.